I had some filling leftover from the Malabar Spinach Tortellini that didn’t fit into the pasta dough I made, and decided to bake it into a lasagna! You could always make the filling by itself and make a lasagna to share, I suppose, but the personal size is awfully cute. Pick an ovenproof container that fits your ingredients. Layer filling, noodles, filling, cheese, and repeat. Since the size is small and everything’s been cooked except your noodles, you can cut the cooking time a bit. Bake covered with foil for about 20 minutes, then uncovered for about 10. So easy! 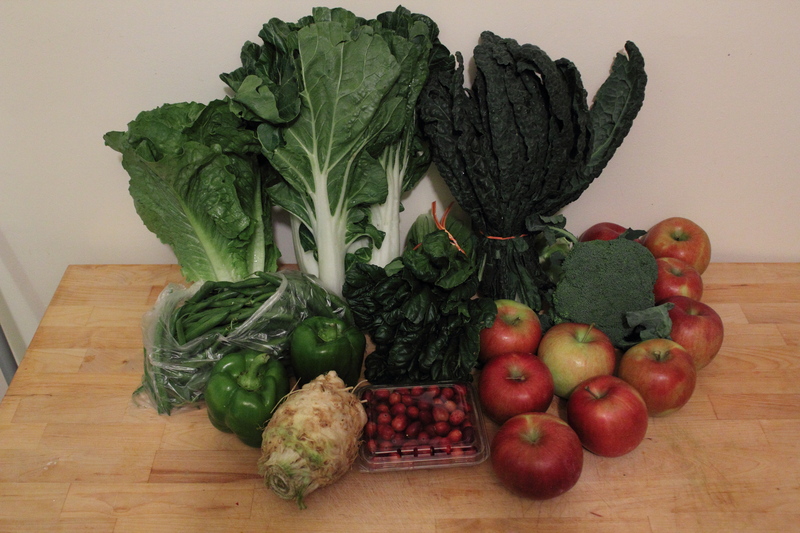 Every week, before I pick up my CSA delivery, I get an email with a list of what to expect in that week’s box. Many weeks, this sends me running for Google to figure out just what exactly these mystery vegetables are. For instance, did you know that Malabar spinach is not actually spinach but is instead an edible vine with leaves that taste a lot like spinach? 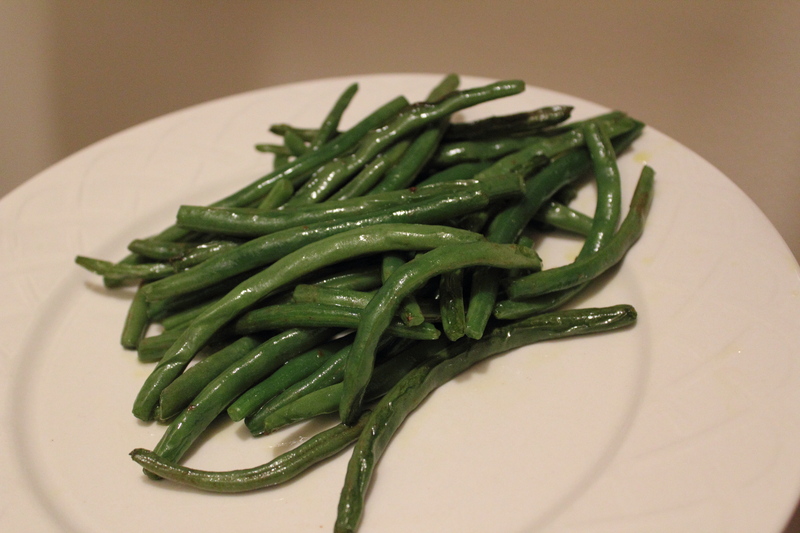 True, the texture is a bit tougher when the larger leaves are raw, but when cooked, it makes a nice substitute. I was ambitious with this recipe and made my own pasta! If you are not a crazy person, you can buy pre-made dough, usually in the “natural foods” section of the store. The recipe looks intense, but it really doesn’t call for any complicated techniques. One of the huge upsides is that once made, the pasta can be frozen. To cook, just boil it until they float. 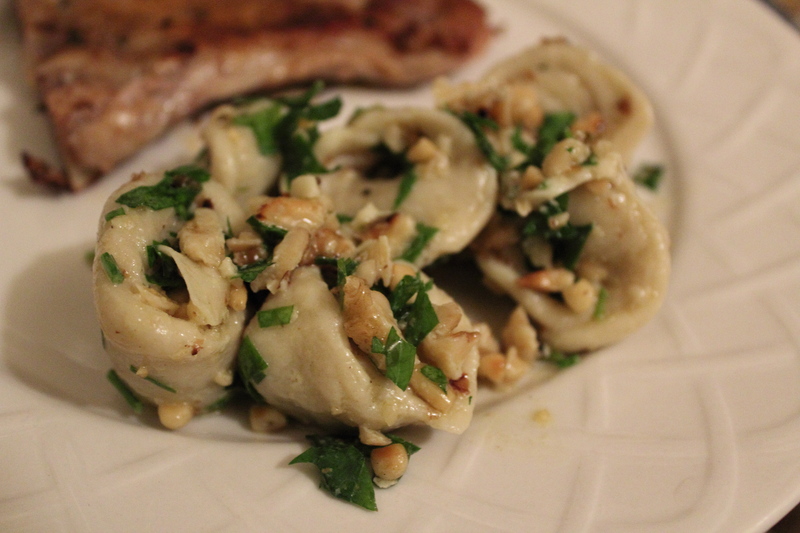 This is served with a super simple sauce of oil, butter, garlic, walnuts, pine nuts, and parsley, but it looks extra fancy. I spent lots of time waiting around in airports this week, and I passed the hours editing the remaining photos from this season. While eating a giant chocolate chip cookie, naturally. 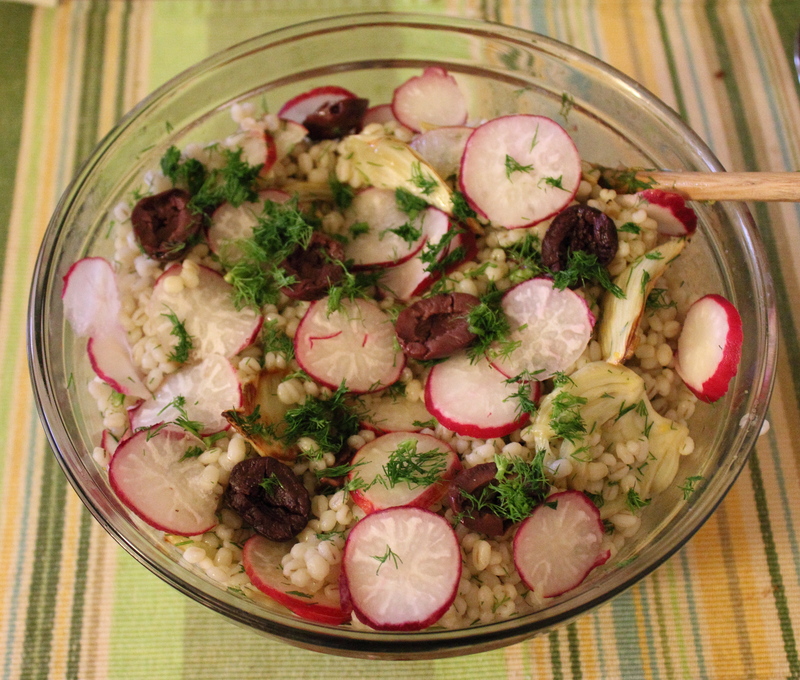 These vegetables have given me a chance to try lots of new things, but for this recipe I stepped way outside of my comfort zone and tried making risotto for the first time. It wasn’t my finest effort, but even imperfect risotto is still tasty, creamy rice and cheese. This one includes scarlet turnips, which gives the whole dish a pink tint, contrasting with the heaping addition of sautéed green leeks. As the days got cooler, I really looked forward to these leftovers in my fridge. 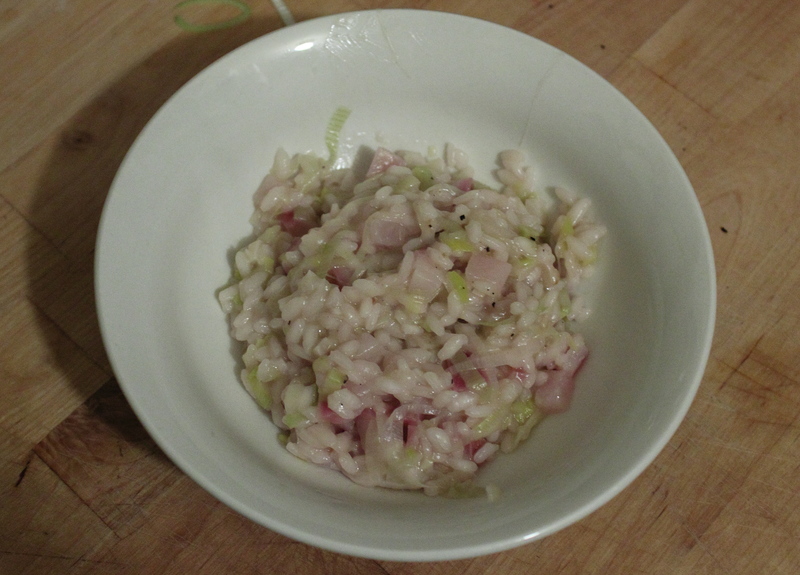 I also greatly improved my risotto technique – it pays in off recipes to be posted later! However, in the meantime, here’s the first attempt. Leeks, turnips, and garlic are sautéed in olive oil until tender. Then, the rice is briefly toasted with the mixture. Next comes hard work and patience: broth is added 1/2 cup at a time and the mixture is stirred constantly. This will take about 45 minutes and if you’re as out of shape as I am, your shoulder and arm will be ACHING. 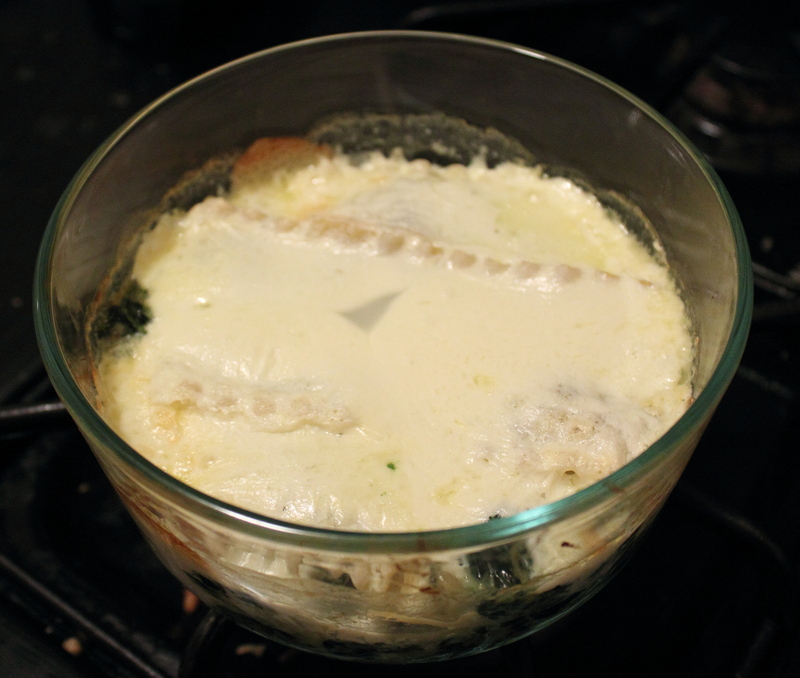 Once the rice is cooked through and a creamy texture, stir in the cheese and serve! More detailed instructions are after the jump.